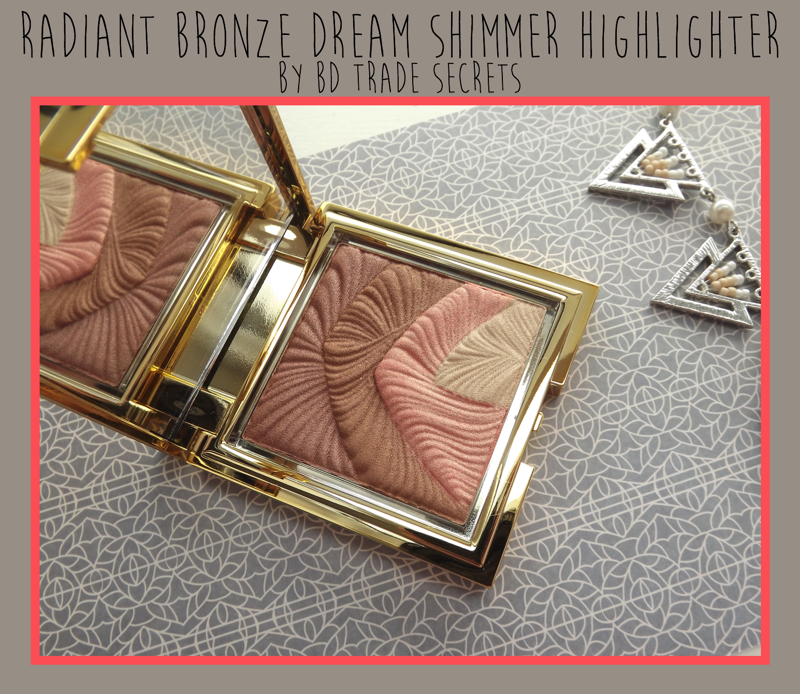 The 'Radiant Bronze Dream Shimmer Highlighter' is a gorgeous piece of make-up that is remarkably versatile. First off, just look at the design. It's so pretty! It has a real summery vibe to it with wave like edgings imprinted into the product. 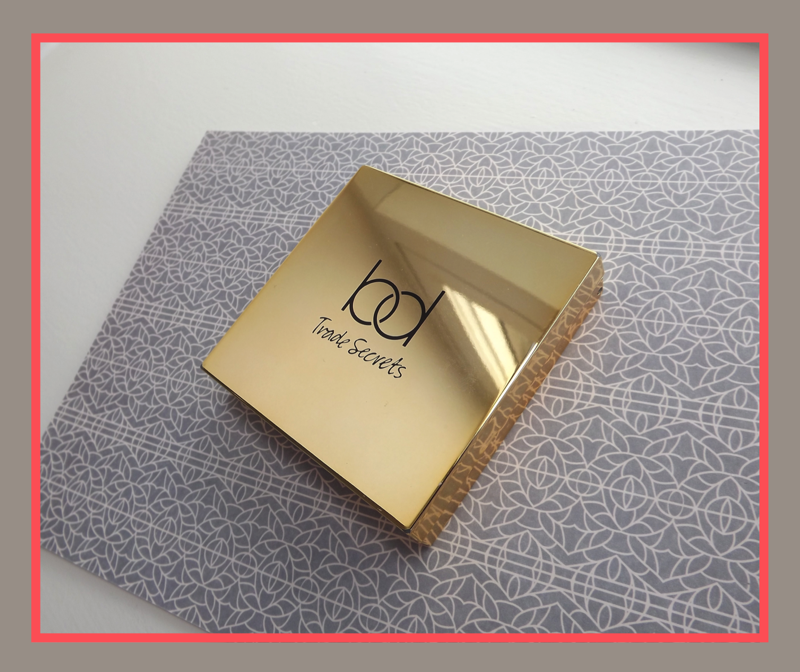 The packaging itself is also very fitting - gold and luxurious with a great sized mirror. Perfect for taking in your bag for top-ups during the day. You're given four beautiful shades: a rich red-hued brown, a chocolate brown, a pinky peach and a pale gold. All four shades are shimmery, but, importantly, not glittery. When it comes to bronzers and highlights, I like to avoid glitter as it makes the product difficult to blend and so doesn't look natural. For example, a highlight might just end up looking like a stripe of glitter standing out against your skin. 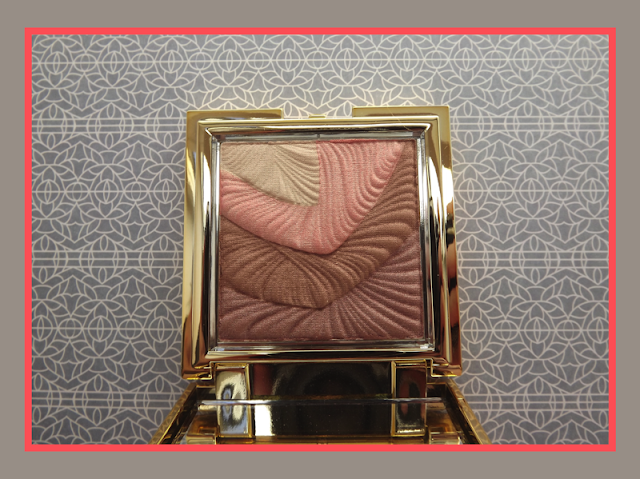 These powders have just the right amount of sheen to pick up the light, but look beautifully blended. 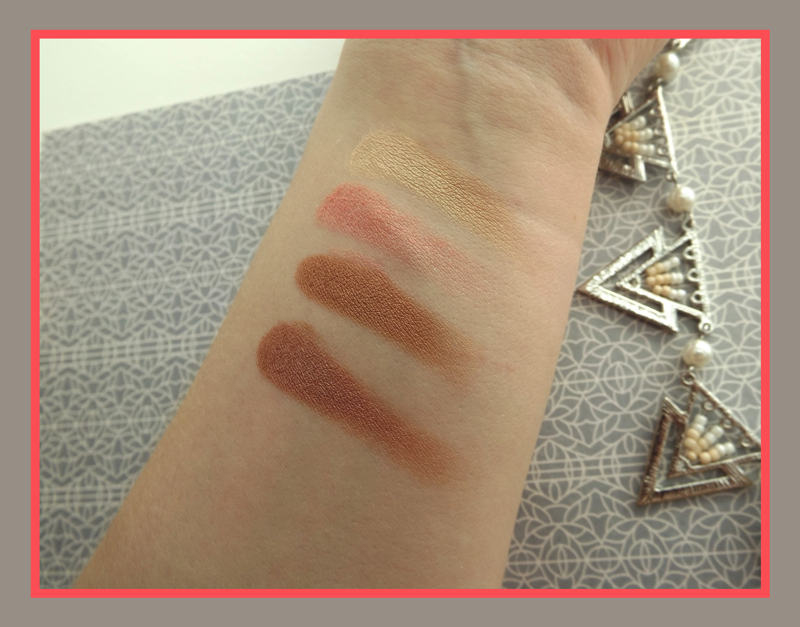 As I hope you can see from the swatches, the colours are beautifully pigmented. They're also really easy to work with. I'd definitely describe them as buttery - the powder is so finely milled that they feel very soft to the touch and are easily blended either together or with other products. Use 1= Bronzer. The browns make a perfect base colour for a bronzer and you can add pink or gold to lighten it up as you need to. Personally, I love mixing all four colours together and using it to warm up my face. Use 2=Highlighter. As someone with fair skin, I love using the gold shade on my cheekbones. I will sometimes add a tiny bit of pink if I want a warmer highlight. Use 3=Eyeshadows. This product makes an ideal palette for a bronzed, summery eye look. I love applying the chocolate brown in the outer V and blending on to the lid, followed by some pink in the inner half of the lid and the gold in the inner corner. I'd never actually heard of bd Trade Secrets before, but I've been blown away by the quality of this item. The powders feel so luxurious and they're an absolute dream to work with. From looking on the Tesco website, this brand has a complete make-up range which includes foundations, blushers, eyeshadows etc. I'd highly recommend checking out the Tesco website or looking in your local store to see what's available. 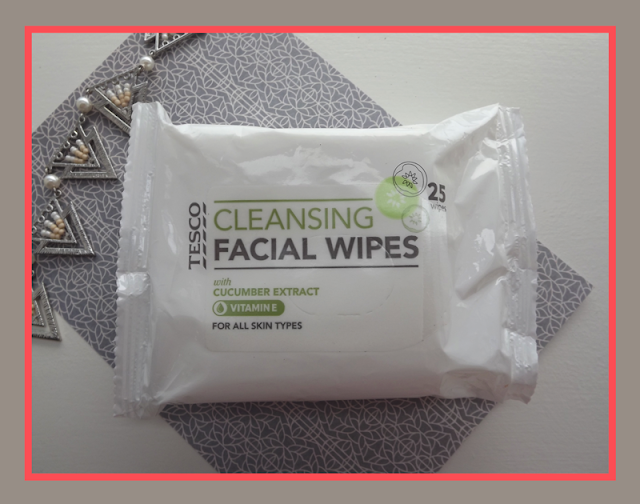 I also wanted to mention another staple item of mine that you can find at Tesco - their cucumber cleansing facial wipes. These wipes are so soothing and refreshing - they're my favourite make-up wipe to use in the summer months after a long day! On an everyday basis I use micellar water to remove make-up, but I always have to have a pack of wipes for when I'm travelling or for those nights when I'm too tired to go through my full cleansing regime. These wipes are really affordable and so gentle on the skin - would highly recommend!